The kids and I spent a few hours watching the gulls in the parking lot of the LCF on Sunday. The result was 2 Thayer's (adult types) and 2 Lessers (adult, 1st cycle). We've had our coldest Novmeber in 13 years, which has rendered all of the local water bodies frozen for now. The gulls use this parking lot to rest after feeding at the nearby landfill to the west. Once there's no water for them to bath in or drink, they readily abandon this site and move out. My feeling is that they go to the Zion landfill which is closer to Lake Michigan - just a guess. Here's a somewhat pale-eyed Thayer's. 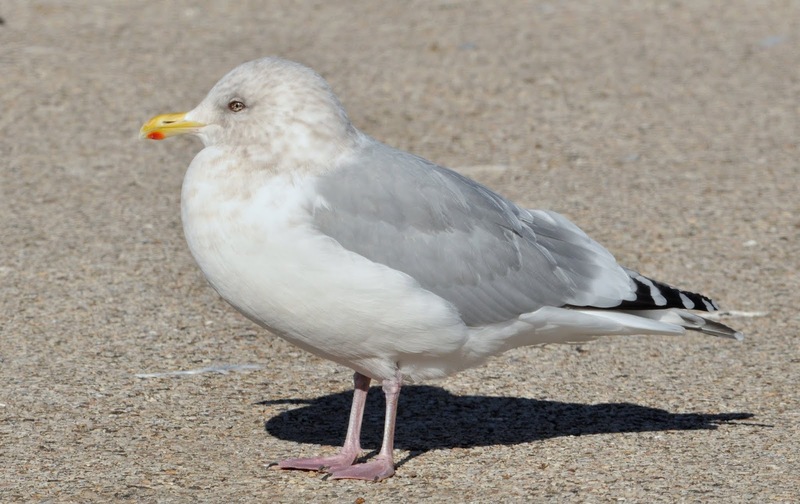 Howell and Ellitott found that only about 14% of Thayer's Gulls (in California) could be called "truly dark-eyed", while 20% were found to be "pale-eyed". They went on to say that about 66% of birds are somewhre in between. 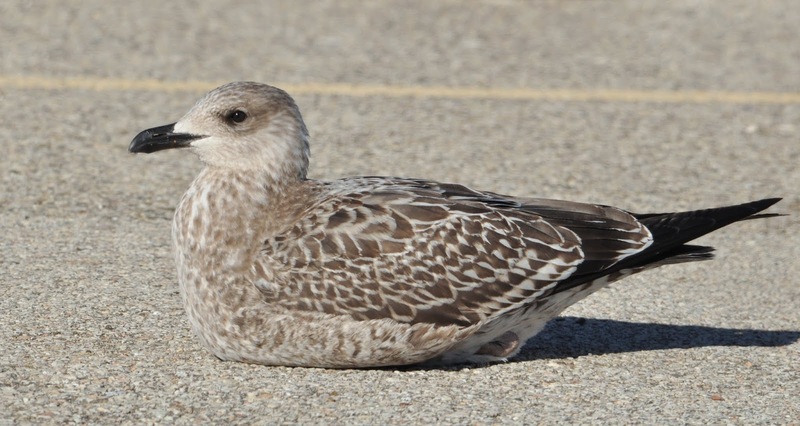 Thayer's Gull (adult). Lake County, IL. 24 November 2013. Lesser Black-backed Gull (sub-adult). Lake County, IL. 24 November 2013. Lesser Black-backed Gull (1st cycle). Lake County, IL. 24 November 2013. This individual was very cooperative, coming in for bread and chasing the adult Ring-billeds for their catches. I've observed this behavior before where young Lessers chase adult Ring-billeds for their catch, but won't chase the Herrings.